New in iOS 11 is a feature which allows you to view HomeKit-compatible security cameras video in Picture-in-Picture (PiP) mode on iPad. Here is everything you need to know about it. As iOS 11 trundles along through the long and windy road that is any beta program for a major operating system release, we are beginning to learn of new changes and additions that were not previously announced by Apple. With so many things going on under the hood, it is understandable that not everything can have stage time during software announcements, and it makes things much more fun as things are discovered over the coming weeks. One of those things is new support for HomeKit-compatible security cameras video in Picture-in-Picture mode on iPads. When Apple added a native Picture-in-Picture mode to iOS 9, it changed the game when it comes to speaking with people via FaceTime video on the iPad, and now the same functionality has been extended to those who have security cameras. 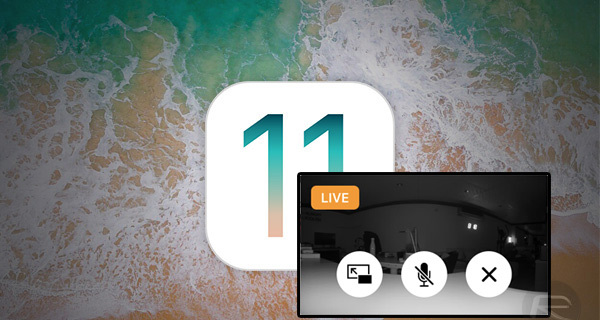 For the first time, users as of iOS 11’s release in September will be able to keep an eye on their homes, businesses or anything else while going about other activities on their iPad devices. 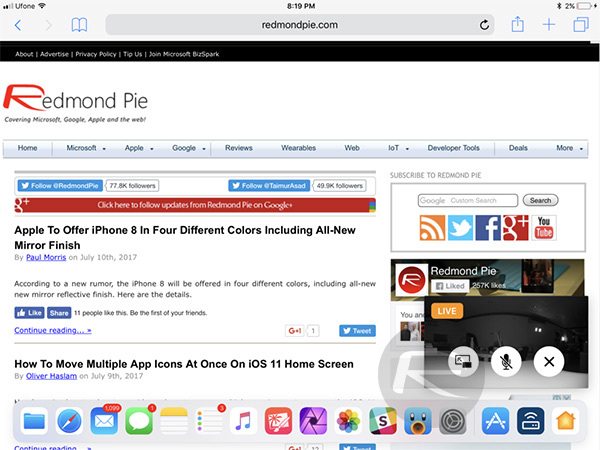 This would previously have not been possible, and the additional functionality makes plenty of sense for those who want to be able to keep tabs on things while still checking out a website, or working on a document for example. iOS 11 has been greatly improved for Apple’s tablet range since iOS 10 with functions like Instant Markup, Instant Notes, and much more. Apple announced iOS 11 during the WWDC 2017 opening keynote with the initial beta immediately available. With each subsequent beta release, the mobile operating system is gaining features and stability ahead of a September release alongside whichever iPhones we are treated to this year. Expect more changes to come before the final release is ready, and we will keep tabs on any exciting new features that are discovered before then.